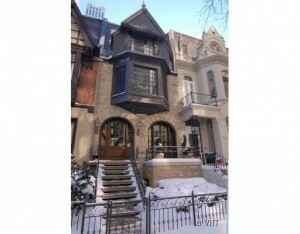 Exquisite home on most gorgeous block completely renovated to perfection. Over 5400 sq. ft. with every imaginable amenity. Custom gourmet kitchen, spa-like master bath, radiant floors throughout, custom blt wood library, complete movie theater, quarter sawn oak floors, 280 sq ft deck with built-in fireplace, 10 flat screen TV's, 2 exterior security cameras, and a 1.5 attached heated garage. Bright and open space.